Marriage is a complicated venture, and while each spouse usually makes a true effort to keep the relationship going, things do not always work out. Divorce is a hard, but sometimes necessary, decision to right an unhealthy relationship that is causing unhappiness and stress. Some spouses may be blindsided by a request for divorce, but most are fully aware of where the relationship stands and whether divorce makes sense. Pennsylvania does have fault-based divorce, which is important in cases where the spouses cannot agree, or one spouse refuses to end the marriage. In addition, though, uncontested divorce exists and allows spouses who agree to dissolve the marriage to expedite the divorce process, which leads to less time to resolve the case and less money spent. However, while uncontested divorce is easier, that does not mean it is easy or uncomplicated. The same ramifications of divorce which may be used with fault-based divorce still apply, as do complex rules that dictate how the case proceeds through the family court system. Having a general understanding of the main aspects of uncontested divorce will help determine if this option is right for them and will be discussed below. Uncontested, or mutual consent, divorce is available to spouses who agree to divorce, are able to agree on a settlement of all issues, and file the necessary paperwork. In addition, one spouse must be a resident of the State for at least six months before the petition is filed, and there is a 90-day waiting period once the petition is filed before a divorce may be granted. Thus, instead of the years it can take to resolve a contested divorce, an uncontested case can be concluded within three or four months if the spouses can reach an agreement. Even when a divorce is mutual and amicable, being able to reach an agreement on sensitive and contentious issues, such as property division and child custody, is challenging. An agreement does not need to exist at the time the petition is filed, just a signed affidavit that both spouses agree to the divorce. If the spouses are able to agree on everything without outside help, they can opt to file the case independently, but many benefit from the structure and objectivity of mediation to work out issues. In either case, an experienced divorce attorney should be involved to advise on the repercussions of any proposed agreement. If certain matters cannot be settled, they can be litigated in front of a judge, but the fewer the issues left unresolved, the quicker and easier it will be. Further, if the divorce becomes contested, additional rules apply that will lengthen the amount of time necessary get the case before a judge. Outside of forming an agreement, the other big obstacle to completing a divorce is filing all the necessary paperwork. Pennsylvania law is particularly complicated to navigate in the area of uncontested divorce, and missing one form or missing a deadline can completely derail a case. Having an attorney prepare the necessary documents is the best way to ensure the divorce will be granted and a spouse’s rights adequately protected. Navigating the divorce process is not a simple task, and you do not want to risk delaying your divorce or losing important rights. Working with the experienced attorneys at Barbara Flum Stein & Associates can avoid this outcome and give you the fresh start you need. 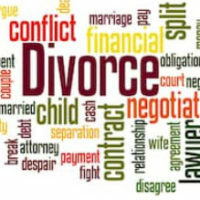 Contact the Delaware County divorce firm today at (610) 565-6100 to schedule a consultation.